Playing Live Roulette has never been as much fun as it is during the month of August at LeoVegas. Thanks to the “Around the World” Live Roulette promotion at LeoVegas this month, you can now to take a seat at the ‘Around the World’ Live Roulette with every week another chance to win a VIP trip for two to a city of your choice or many Free Spins on Gonzo’s Quest™ or the Spiñata Grande™ slot. 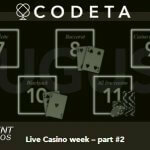 Live Roulette is by far the most popular Live Casino game and many find their way to the NetEnt Live Casino every day to see the Live Dealers spin the Roulette Wheel. Excitement guaranteed, especially when NetEnt’s Live Roulette is combined with a casino promotion. This way you can enjoy the NetEnt’s high-quality Live Roulette and if lucky, you can spend some time at the online casino for free as well. The best-case scenario is you winning a VIP trip for two to either London, Madrid, Paris, Amsterdam, Athens or Lisbon. To make this VIP trip for two become reality, you must get yourself at least one ticket for the weekly draw. Each week one player will be chosen at random to win the VIP trip of their choice to London, Madrid, Paris, Amsterdam, Lisbon or Athens. Besides the ‘Trip Around the World’ Live Roulette promotion, you can also look forward to the Circus Roulette and the Fiesta Weekends Roulette. The above promotion is taking place every Monday to Wednesday of the week, during the entire August month, with the draw on Thursday, the same day players can start to enjoy the Circus Roulette Promotion at LeoVegas. 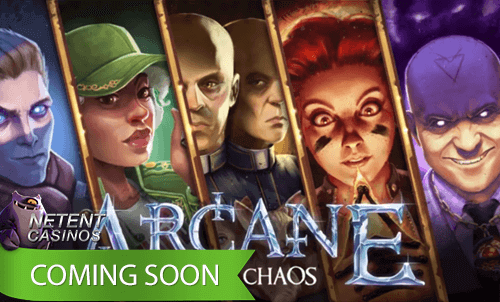 From Thursday to Friday, you can join the circus – the roulette circus that is – with a chance to grab some free spins. Perfect timing as the weekend is about to start and free spins are always welcome. No draw this time as 20 game rounds are enough for you to activate 50 Free Spins for the Gonzo’s Quest™ slot! Once you’ve completed the 20 game rounds and your 50 Free Spins for Gonzo’s Quest™ have been activated, there are no more free spins to win anymore as you can win maximum 50 free spins every promotional day. 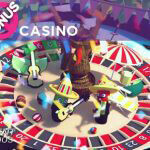 There will be a maximum of 500 Free Spins throughout the entire promotional period per player which makes this Live Roulette as attractive as can be, especially in combination with the Around the world Live Roulette and Fiesta Weekends Live Roulette. While the first part of the week is dominated by the Around the World Live Roulette promotion and the second part of the week by the Circus Live Roulette promotion, your weekend at LeoVegas will be all about the Fiesta Weekends Live Roulette promotion. There won’t be any differences compared to the Circus Live Roulette promotion which means 20 game rounds at the Fiesta Live Roulette table from 2pm – 2am CET every Saturday and Sunday will award an amazing 50 free spins on the Spiñata Grande™ slot. LeoVegas is definitely the place to be if you like to play Live Roulette, you enjoy travelling or if you’re a fan of Gonzo’s Quest™ and Spiñata Grande™. 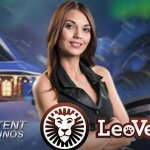 A combination of all of them makes this LeoVegas promotion a match made in heaven! 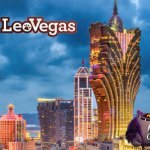 Enjoy all the aspects of the ‘Around the World’ Live Roulette promotion at LeoVegas this month and who knows are you one of the happy players winning a VIP trip while being awarded many free spins for two of the best NetEnt slots around.